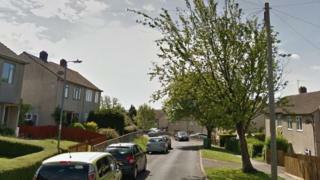 A 12-year-old boy has died in hospital after being hit by a car while on his bike in Wiltshire. Zack Lang was seriously injured in Hill Rise, Chippenham, at about 09:40 GMT on Tuesday. Wiltshire Police said he was taken to Bristol Children's Hospital where he died on Thursday. Police said the driver of the vehicle was helping the force with its inquiries but urged anyone with information to come forward.